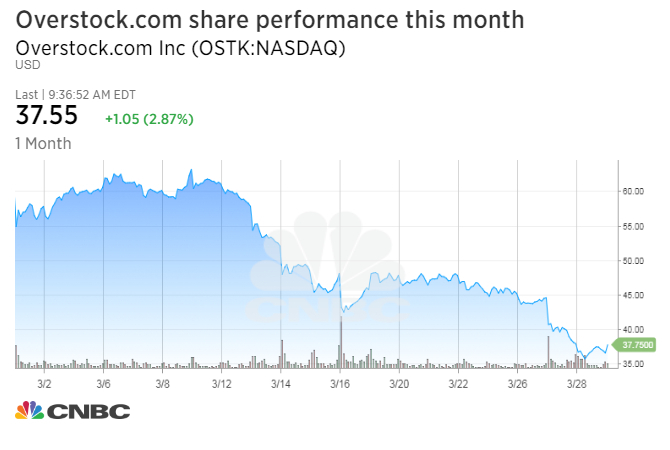 E-commerce company-turned-blockchain play Overstock.com’s 4 million share offering has been canceled, according to a source familiar with the situation. 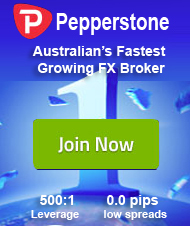 Underwriter Guggenheim Securities decided late Wednesday not to proceed due to market conditions, the source said. Overstock.com confirmed that the offering was called off. Shares of the e-commerce company traded more than 2 percent higher near $37.40 a share Thursday afternoon. The stock had tumbled 14.97 percent Tuesday after the company announced the share offering, which listed D.A. Davidson as co-manager. Taking into account further declines Wednesday, the shares have fallen 42.7 percent so far this year. The online retailer has drawn Wall Street’s attention in the last several months for its investments in projects using the same blockchain technology behind bitcoin and other cryptocurrencies. Overstock’s subsidiary, tZero, is developing a digital token exchange and the company says it has a license for an alternative trading system through a prior acquisition. The U.S. Securities and Exchange Commission is investigating tZero for its $250 million token sale, Overstock disclosed earlier this month. In its fourth-quarter earnings release, the company reported a 13 percent drop in revenue and no significant progress on a potential sale of its retail arm to focus on its cryptocurrency-related business.